Euthanasia Prevention Coalition Euthanasia Prevention Coalition: Summary Report on End-Of-Life Care (euthanasia) In Québec. The following report was published by the disability rights group, Toujours Vivant - Not Dead Yet on April 12, 2019 and republished with permission. Québec’s Commission on end-of-life care issued a summary report of the status of end-of-life care in Québec. 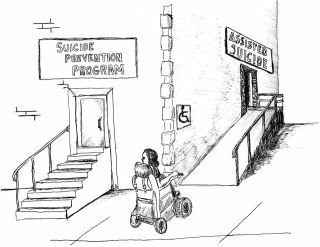 The report deals with palliative care, continuous palliative sedation (CPS), euthanasia (administered or not), and the activities of the Commission itself. But the document only includes data up through March of 2018.